I’ve said it before and I’ll say it again….a true friend shares a good find with another! I love that my best friend and I text each other pictures of things we absolutely love and tell the other friend that she has to have it! So I do the same for you all here on my Current Crushes posts. These are some of my latest crushes, from fancy fun things to home decor. If you follow me on Instagram and watch my Instagram stories, you’ll be familiar with some of these. If not, you’ve been missing out BUT I’ve got you blog readers covered too! Yay! 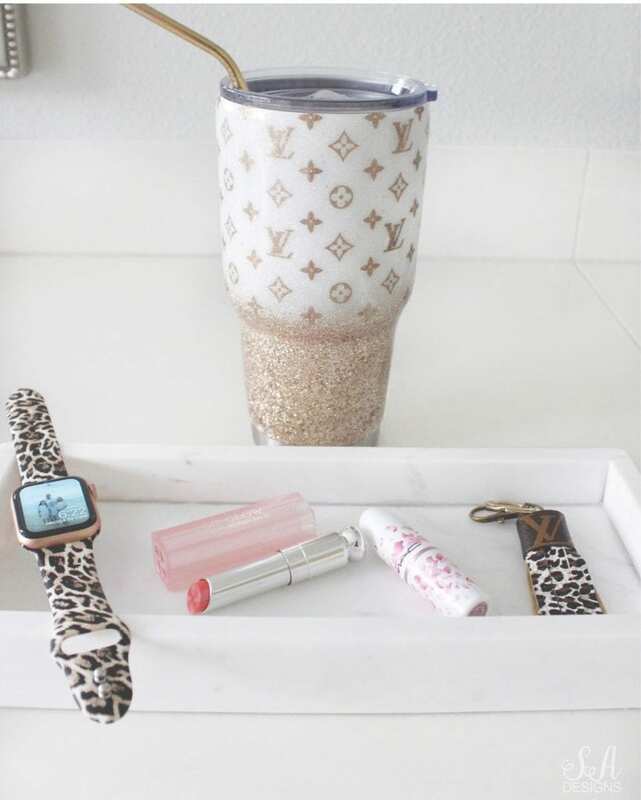 First things first….this tumbler!!!! I found it HERE and it has taken my Instagram messages and stories by storm! (You’ll want the awesome gold aluminum straws HERE that come with a cleaner.) 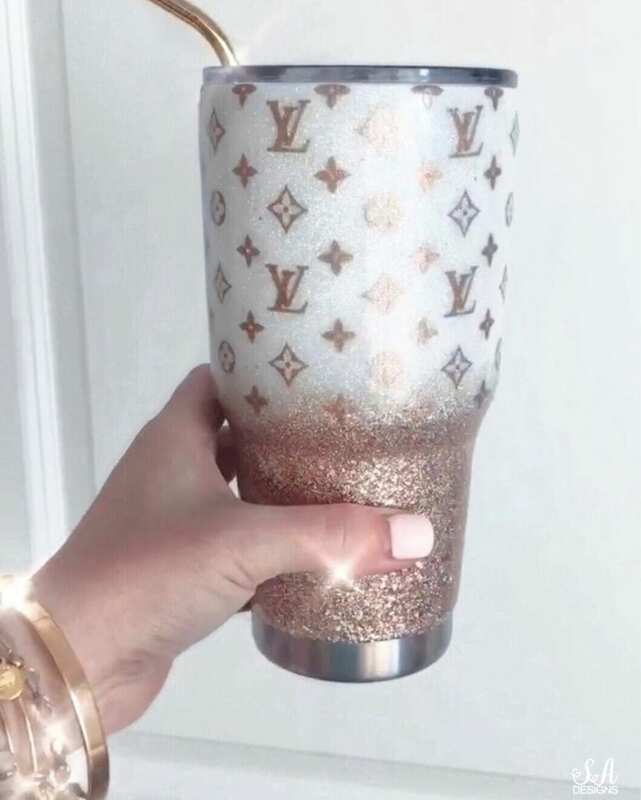 The lady who makes these tumblers has been swamped with all your orders but she’s loving it so just put in your orders and be patient because she’s cranking them out as fast as possible. The quality is fabulous and they are so gorgeous and glitter and sparkly! I never thought I’d put my cute pink Yeti back in the cupboard but it doesn’t hold a candle to this one. I get stopped EVERYWHERE I go because people want to know where I found this beauty! Might I add, it would make the perfect Mothers’ Day gift so you better order NOW to get it in time! Click on carousel of items below to shop! Again, you’ll see that tumbler in every pic almost because it’s my favorite thing right now! 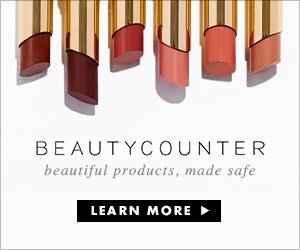 The Tarte concealer is life-changing!!! Especially underneath your eyes. You’ll never go back. The Too-Faced Chocolate Bronzer is the best and it smells and even tastes (the dust) like chocolate. I kid you not. The Givenchy base coat goes on your eyelashes and then you put on your mascara and it makes your eyelashes so thick and gorgeous. People ask if I have extension but I do not. One of my fave perfumes is this Tory Burch and of course, I love her sandals too! Sharing cute jewelry I found lately (can’t find the exact bee necklace on line so I’m linking one close) and then this is one of my favorite totes! 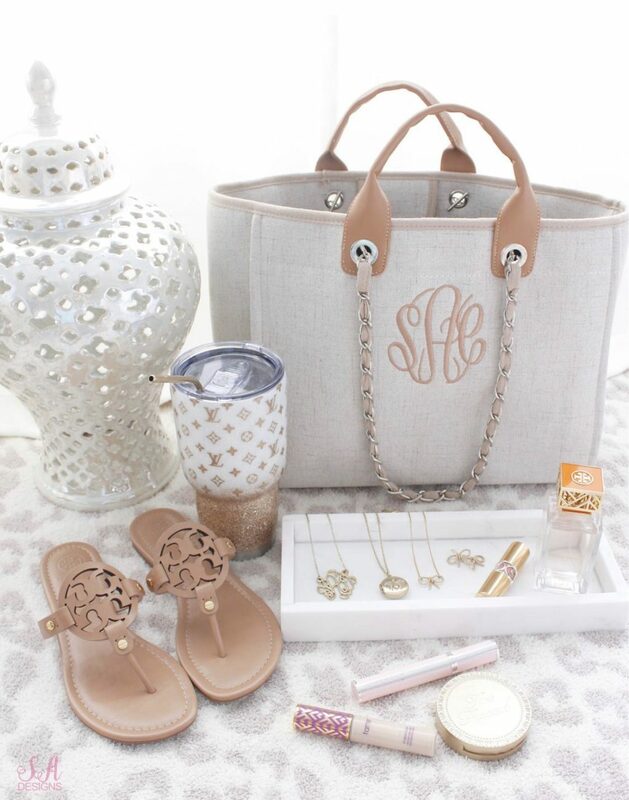 I love a monogram on anything and I get asked about this one a lot. I got it last year but just brought it out again so it’s my “current crush” again. Click on the arrows to scroll right and left and click on the pic to shop! Transparent bags are all the rage this year! This was is NOT $300 like some! Nope, it’s actually under $30! I love it. Some other goodies here, as well as my favorite pens! I have dozens that I keep throughout my home, handbags and office. They make great gifts too! 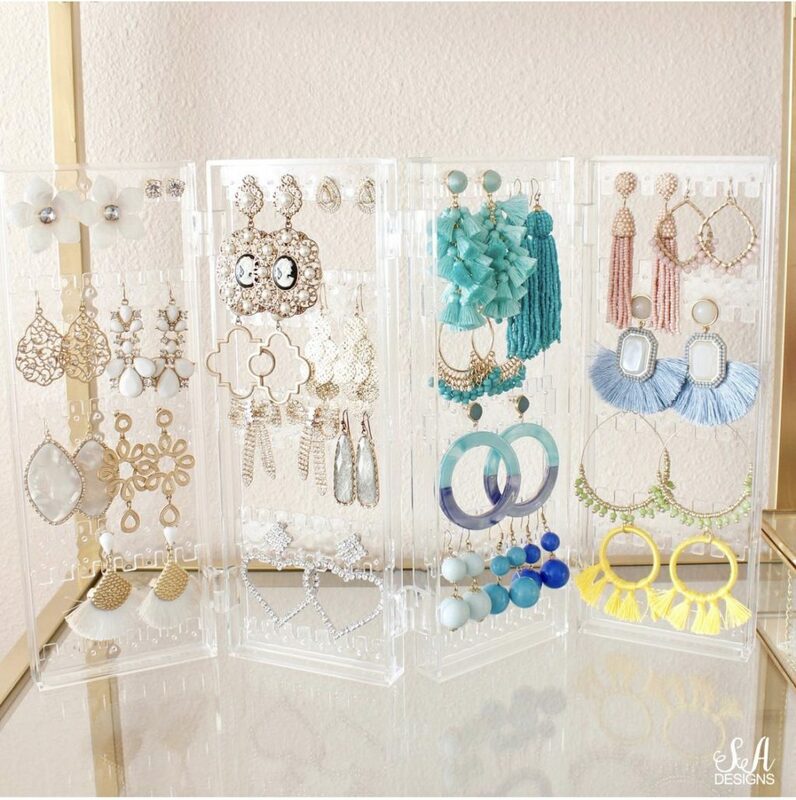 Whether you have a glamorous walk-in closet or you don’t, whether you’re a fashion blogger with cute shelves or not, whether you you’re a boutique owner and need an earring display or you’re not, this acrylic earring display is just so cute that I’m sure we can all think of an excuse to get one because it’s such a good price. That way, we can display our favorite spring and summer earrings. You might need 2 or 3 or more (as I do). Then we can see what we actually have. I’ve shared Pretty You London slippers before and you know they’re my favorite!!! They are literally the prettiest slippers I’ve seen on the market. 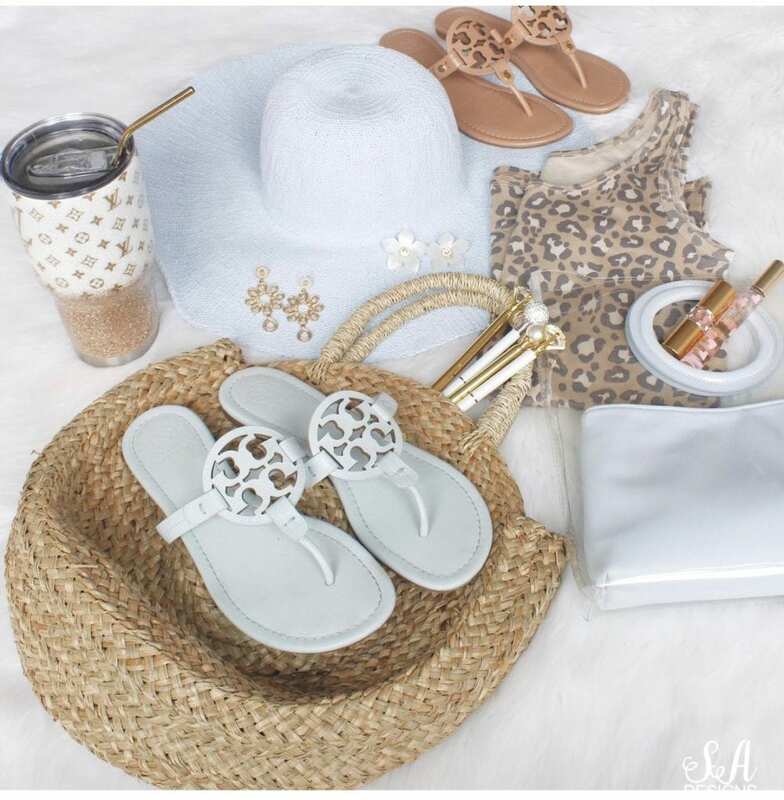 These cream Anya slippers would be perfect for a Mothers’ Day gift and especially for any brides this spring and summer! They’re a MUST! 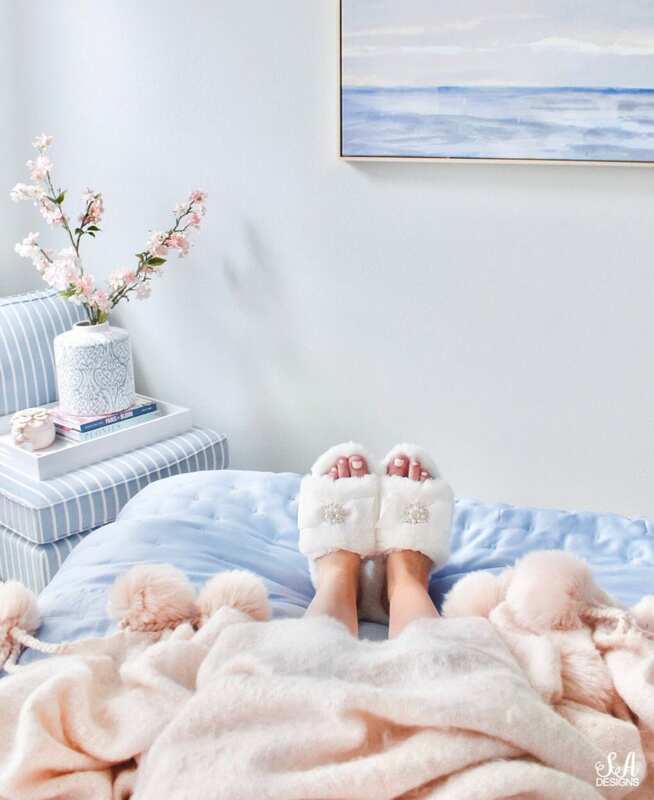 I’m pictured wearing them here on our guest bed and I’m kinda thinking they’d make the perfect gift for very special guests, too, when they come to stay. Wouldn’t that be so sweet to have for them?! Again, if you saw my Instagram stories, you know how obsessed I am with these blush pink plates!!! Why? 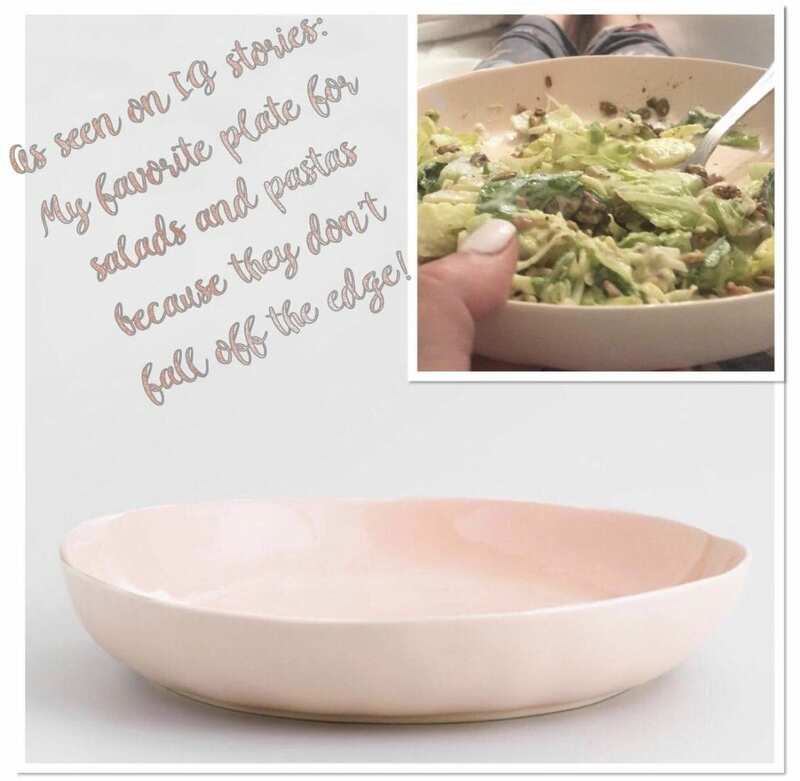 Not just because of the obvious fact that they’re blush BUT because I use them for my personal large dinner chicken salads (just for me) that I make throughout the week because the salad doesn’t just slide right off the plate. Especially when you’re being naughty and eating in bed and you can hold it up against your chest and the salad dressing and salad doesn’t get on your shirt hahaha! It’s genius, I think. They’re called “soup plates“. Seriously perfect for salads though and so many of my Instagram followers loved the idea as well and went to buy a bunch as well. Yep, the tumbler again haha (taking some of these pics from my LikeToKnowIt feed, you can follow me there too). But I’m obsessed with my new iWatch and this cute inexpensive leopard band. Also digging these 2 new lipsticks for the spring and summer. The MAC is a special so hurry and get it! And this upcycled Louis Vuitton leather tassel keychain. So cute, right?! 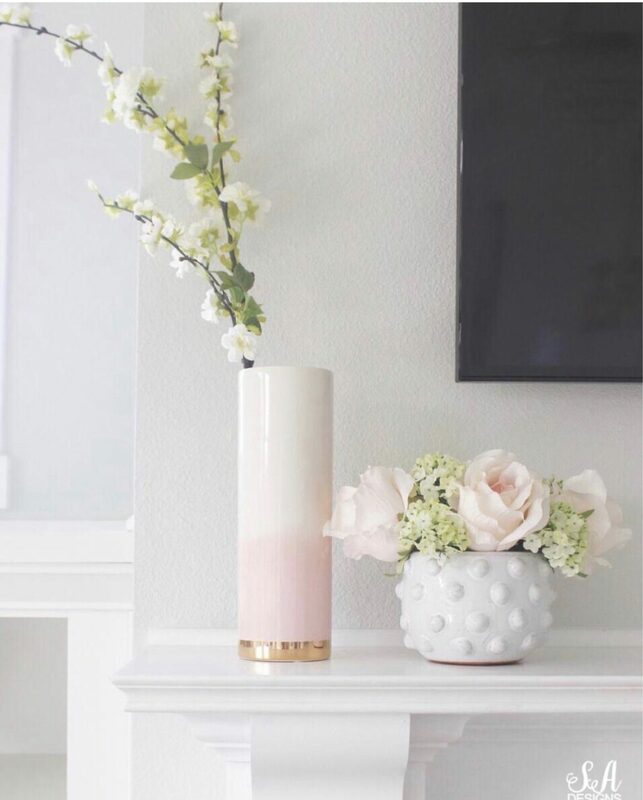 This cute dotted planter on the right was shared in my Spring Tour a few weeks ago and I’m so glad y’all loved it as much as I do because I bought a few more, ha! I’m going to use them for herbs in the kitchen. Isn’t it so darling?! You can find some others that I’m also crushing on below. Click on arrows to scroll right and left. Click on pics to shop.